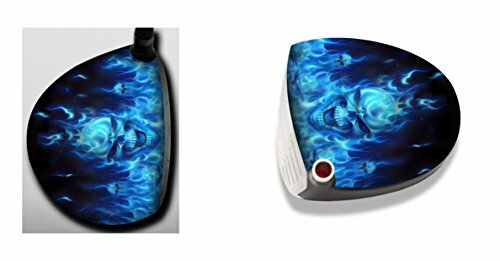 Cool Clubs - Blue Flaming Skull - Skin by Cool Clubs at Village Green Golf. MPN: Blue Flaming Skull. Hurry! Limited time offer. Offer valid only while supplies last. The creative and funky way for golfers to show their style while teeing it up. The skin fits to the driver head through a non-permanent self adhesive vinyl print. It has a great paint like finish. If you have any questions about this product by Cool Clubs, contact us by completing and submitting the form below. If you are looking for a specif part number, please include it with your message.